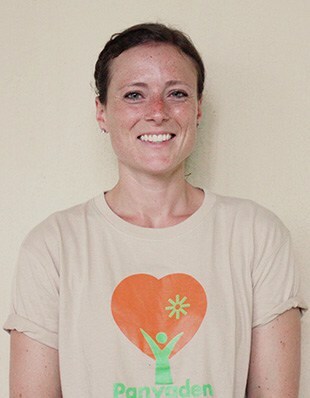 Kru Rachael joins Panyaden after teaching at an international kindergarten in Bangkok for the past four years. She has experience teaching children over three years of age using the British Curriculum and enjoys using a hands-on approach in her classrooms. Kru Rachael holds a PCGE in Lower Primary education, alongside a Masters in Buddhist Studies and a Doctorate in Tibetan Buddhism. With a background in the academic study of Buddhism, Kru Rachael is interested in finding ways to incorporate mindfulness activities and yoga in her teaching. 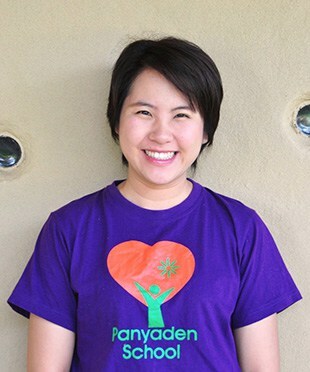 She believes in the benefits of international, bilingual education and is excited to be part of the team at Panyaden. In her free time she enjoys yoga, walking, reading and sampling Thai foods. Kru Mint has been teaching for over 12 years now. She holds a Bachelor of Education, from Chiang Mai Rajabhat University. In her free time, she likes travelling with her family and photography. She also loves cooking, painting and gardening. 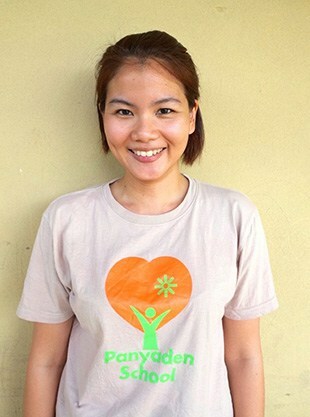 Kru Mint joined Panyaden because of the environment, which she believes will provide the best education for children. 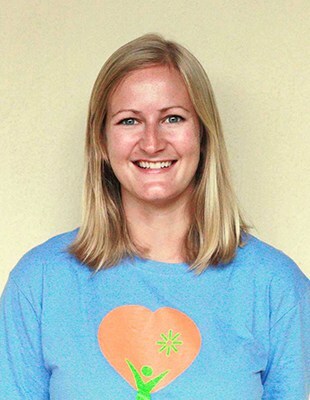 From Boston, Massachusetts, Kru Kelsey has been involved in all aspects of early education, including teaching, creating curriculum and enrollment. She has been a pre-school teacher, a nanny and a children’s activity organiser. Graduating with a degree in Communications with a minor in child psychology and holding certification in Teaching English as a Foreign Language, Kelsey’s hidden talents include snowboarding, drawing and field hockey. Kru Tookta holds a Bachelor of Science from Chiang Mai University and a Bachelor of Education, majoring in Education and Communication Technology from Sukhothai Thammathirat University. She loves singing, reading, teaching and being happy with children! Kru Aae graduated from Maejo University with a major in Ecotourism. 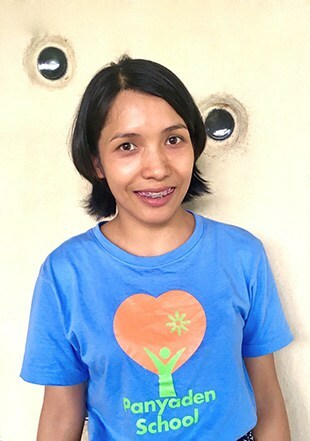 She started as a teacher assistant at Panyaden five years ago but after training and showing us her natural gifts as a teacher, she graduated to homeroom teacher and loves it! She is always mindful and cheerful when working with children. Kru Aae loves travelling and taking part in outdoor activities. Kru Mallory holds a Bachelor’s degree in Elementary Education with a concentration in Spanish. Mallory facilitated children’s activities on board cruise ships around the world before deciding to settle down and teach in Thailand. Her passions include comedy, film, singing, nature, travelling, softball, and anything adventurous! Kru Yo holds a Bachelor of Arts majoring in Thai Language from Chiang Mai University and has experience teaching Thai to children and adults. She enjoys reading and telling stories to children, but most of all Kru Yo loves to see children’s smiles! Kru Natcha is excited to join the Panyaden team this school year and she is very happy to be in the school environment as she loves nature. 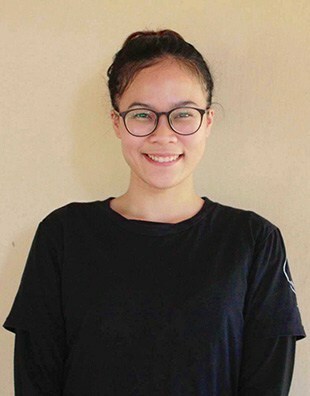 She graduated from Thammasat University with a major in English and recently finished her Master’s degree in Education (Early Years) from the U.K. Natcha has experience in various nursery settings and is passionate about working with children. She is fascinated to learn, play, and grow along with them and wants to help children experience and enjoy play at the beginning of their childhood. In her free time, she likes to read and travel to explore new places. Kru Anthony comes all the way from the tiny Isle of Wight in the south of England. 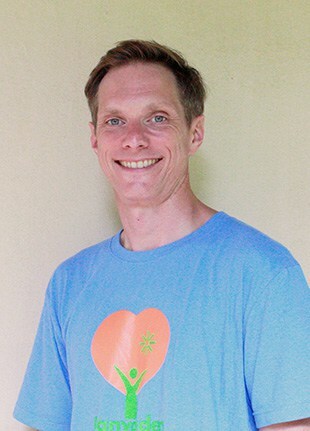 A graduate in psychology from the University of Sussex in Brighton, and holder of a Post Graduate Certificate in Education (PGCE), he has been teaching kindergarten in Chiang Mai for over 5 years. He discovered his passion for teaching when he worked as a swimming teacher, gaining over 10 years’ experience. Anthony enjoys swimming, hiking, SCUBA diving, sunsets and being in nature. 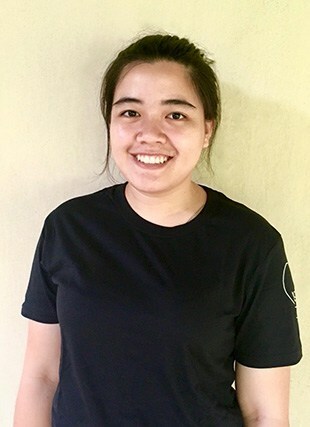 Kru Kwan graduated from Chiang Mai University, majoring in English, and is currently continuing her studies there with a master’s degree in psychology. 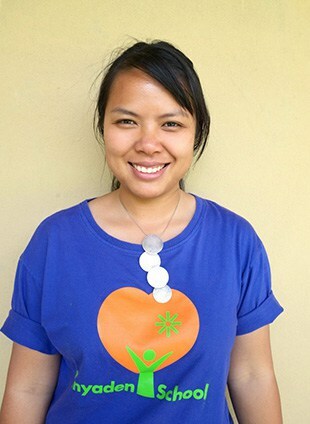 Before joining Panyaden, she worked for 2 years as an activities organiser at a child development center in Chiang Mai. Kru Kwan loves reading, exercising and simply spending time with herself! Kru Tee holds a Bachelor’s degree in General Management, a Teaching Certificate from Rajabhat Suan Dusit University and a Certificate of Proficiency in Mandarin from Beijing. 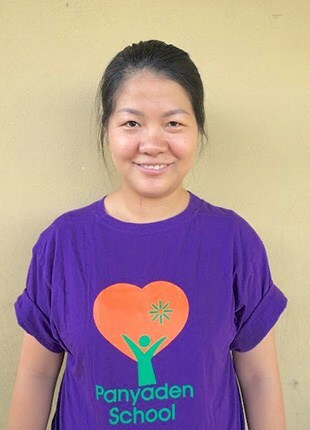 She has many years of teaching experience including at an international school for 7 years where she was both the Mandarin teacher and school secretary. She has also been an English Programme Coordinator as well as homeschooling her son. She believes that every child is extraordinary and as a teacher, her role is to liberate and develop the potential of children to the maximum. 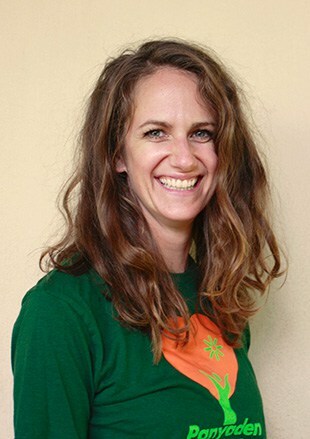 Kru Heidi holds a Bachelor’s degree in Early Childhood Education with a focus in Art from Northeastern Illinois University in Chicago, Illinois U.S.A. She has 5 years’ experience teaching kindergarten and has also taught art and photography classes and courses in mindful meditation for young children. She believes all humans are forever life-long learners, starting in the early years. She enjoys, travelling, eating, photography, yoga, listening to music and swimming. Kru Jeab has more than ten years of experience working with kindergarten children. She graduated with a Bachelor’s degree in Mass Communication from Ramkhamhaeng University. She has been with Panyaden since we opened in 2011. For Kru Jeab, the most important thing is to enjoy working and to spread happiness to people everywhere, especially children. Kru Christine (nickname C.J.) is from Prescott, Arizona U.S.A. and has been living in Chiang Mai for over a year now with her two young children and husband. She has her Bachelor’s of Arts in English and Creative Writing and is an AMS certified early childhood Montessori teacher. 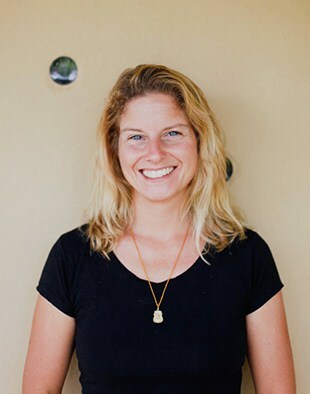 Over the last 9 years she has worked closely with the Montessori philosophy and sees her role as fostering the growth of the whole child – physical, spiritual, emotional and intellectual – and providing an environment where children’s natural curiosity guides their own discovery and love of learning. Whenever she can, she enjoys drinking coffee, being with nature, laughing with friends and family, travelling and eating! Kru Ownaen graduated from Bunditpatanasilpa Institute with a degree in Art Education. 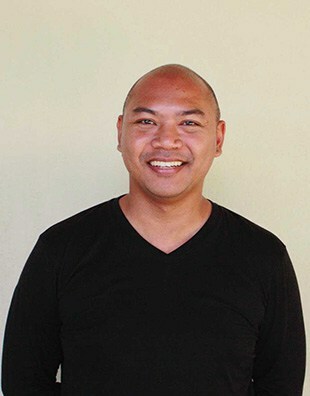 Kru Ownaen has nine years’ experience in teaching dance, drama and Thai language at a school in Bangkok. In his free time Kru Ownaen enjoys listening to music and playing the guitar, singing, movies, cooking and basketball. 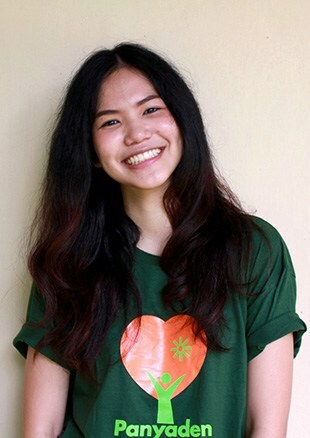 Kru Tanya graduated from Maejo University, Chiang Mai, majoring in Science (Biotechnology). Before coming to Panyaden, she worked at an International Montessori School and other early education programmes in the US for over 6 years. She has certificates in both Montessori Education and Early Childhood Development. She loves the natural environment at Panyaden. She loves to sing, cook and dance, though not necessarily at the same time. She is also trilingual in Thai, English and Mandarin. 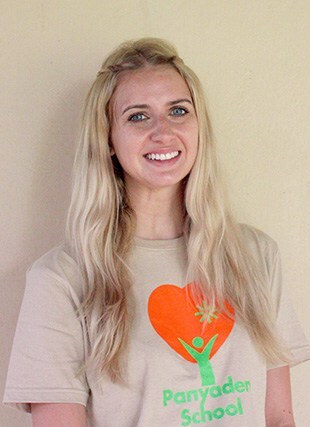 Kru Haleigh is from Miami, Florida and has a Bachelor’s degree in Elementary Education from Stetson University. She taught Year 3 in Bangkok from 2014-2015. As a teacher, she believes in progressivism and strives to teach outside with a wide variety of activities. She likes to incorporate hands-on experiences, so students will stay interested and intrigued. 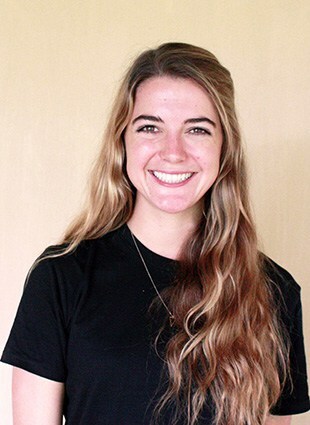 Kru Haleigh enjoys hiking, running, yoga, all ocean activities and travelling to new places. 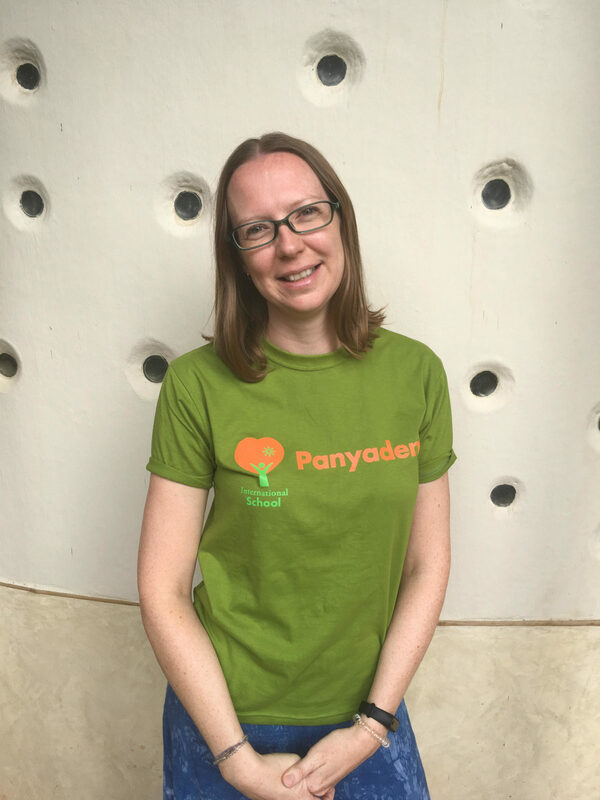 She is very excited to join the Panyaden team! 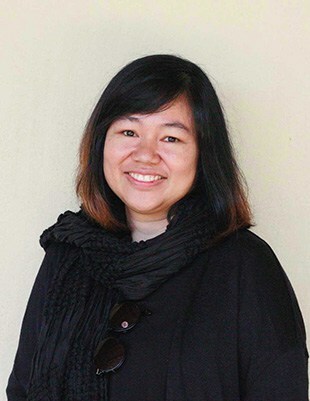 Kru Eedd graduated from Ramkamhang University where she majored in advertising and public relations. 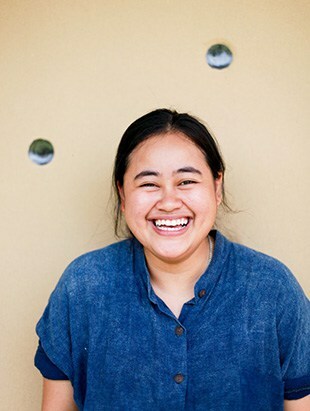 She spent 4 years working towards preserving local forests and developing the handicraft industry with local hill tribe groups for the Chiang Mai Development Foundation. She loves being with children, making art and doing needlework together. In her free time she enjoys spending time in the garden. Kru Fern graduated from Chiang Mai University, the faculty of Humanities with a major in English. 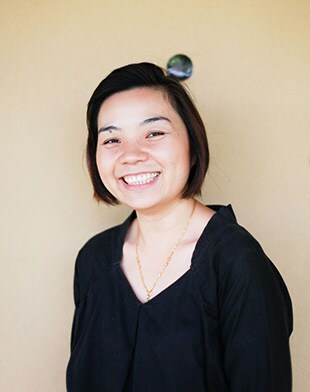 Before joining Panyaden, she had more than 4 years’ experience as a teaching assistant at an international school in Bangkok and in Chiang Mai. She was also a support teacher for special needs children in Bangkok. She loves to read, make pastries, and exercise, especially cycling and walking her dog. Kru Gai graduated from Huachiew Chalermprakiet University with a major in Chinese. She has 5 years’ experience working with kindergarten children at an international school in Bangkok and this is her third year at Panyaden. Kru Gai loves cooking, reading and travelling. 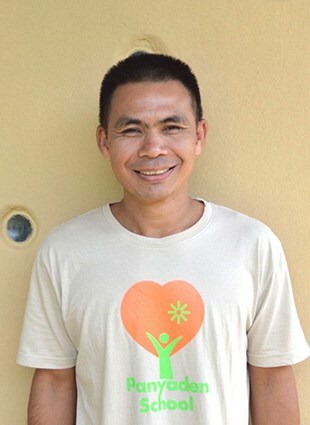 Kru Ta has been teaching kindergarten and primary students for more than 15 years. 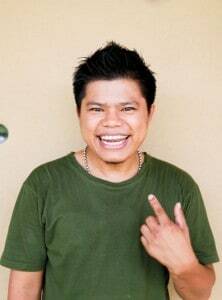 He holds a Bachelor of Science in Primary Education Management, majoring in sports, from Srinakharinwirot University. 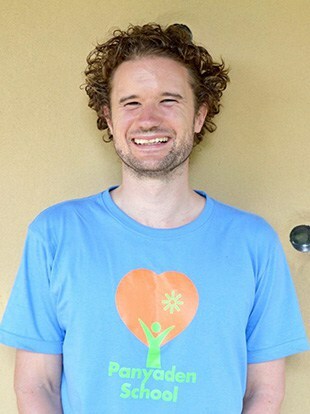 Kru Ta is passionate about exploring different teaching methods and integrating a Buddhist approach. He believes this will improve both himself and his students. His goal is to help his students enjoy learning. Kru Ta moved his family from Bangkok to Chiang Mai to work at Panyaden. 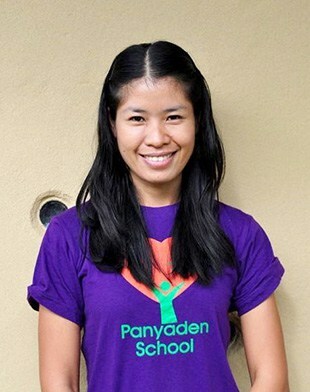 Kru Rosie is excited to begin teaching at Panyaden International School this year. She holds a first class Bachelor of Science degree in Psychology and a Post Graduate Certificate in Primary Education from Liverpool John Moores University and Liverpool Hope University. 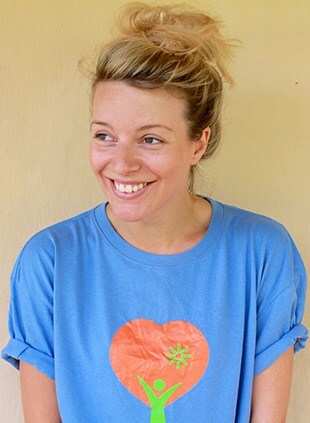 Rosie has been teaching in a Primary School in the U.K. for the last four years. Rosie has a passion for street dance and cheerleading and has previously competed in worldwide championships in America. Rosie also loves musical theatre, reading, travelling to new places and animals! 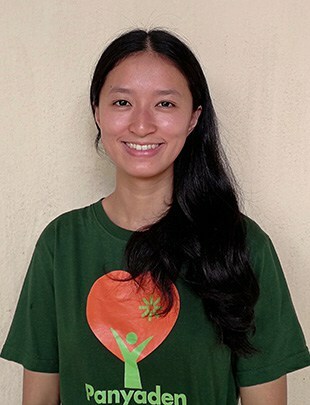 She is looking forward to teaching children in an environment so close to nature at Panyaden. 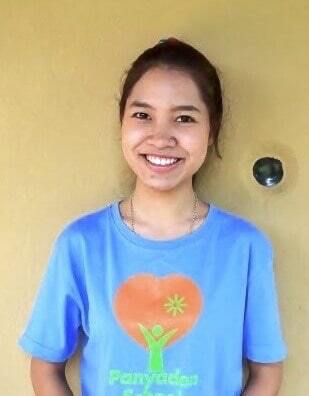 Kru Nam is a graduate from Khon Kaen University where she majored in English. She previously worked as a volunteer with children with serious long-term illness, helping them with their studies and reading them stories. This brought her so much joy, she was inspired to apply for full-time work with children. Kru Nam loves travelling, watching movies and reading. Kru Pond has 14 years of teaching experience in Thailand and internationally at kindergarten, primary, vocational education and university levels. 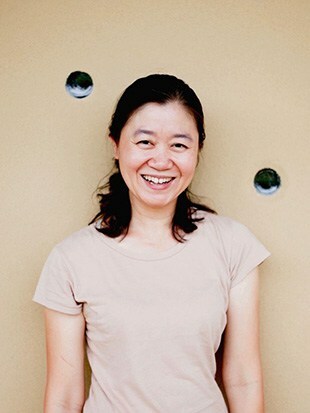 She holds both Bachelor’s and Master’s degrees from Chiang Mai University. Kru Pond strongly believes in the importance of developing the social and emotional abilities of children in order to build their self-confidence, self-discipline and capacity to care for themselves, others and the environment. 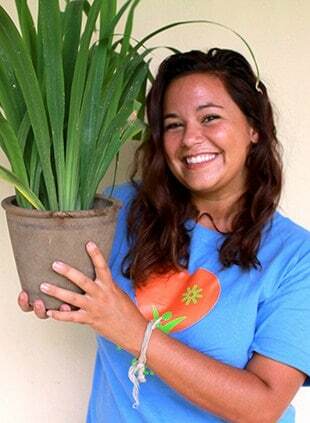 She loves cooking and is passionate about art therapy and its benefits to children with special educational needs. Kru Leah holds a Bachelor’s degree in teaching from Roehampton University in London. She has 10 years’ experience of teaching from K1 to Year 5, in a number of different primary schools across London, specialising in Design and Technology. She has worked with head teachers in London schools to implement Assessment for Learning across all Year groups. Kru Leah enjoys hiking and fitness in her spare time. She also loves the snow and has learned to snowboard in the last few years, a hobby which may be harder to maintain in Thailand! 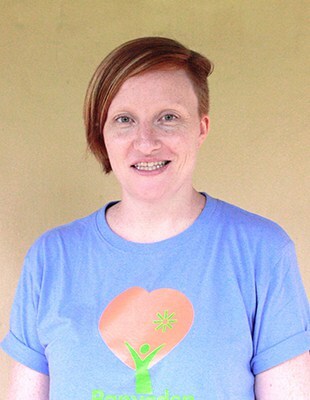 This is Kru Leah’s first year teaching in Thailand and she is very excited to be here. Kru Pat holds a Bachelor of Fine Arts and a Master of Art and Culture Management from Chiang Mai University. She has more than 5 years’ experience teaching art to students in various settings. In her free time she likes art, travelling and music. Kru Pat loves being with children and is passionate about teaching her students new skills in art. Kru Tai has been working in the field of Education for 10 years. She graduated with a Bachelor of Education, double majoring in English and Educational Technology from Chulalongkron University in Bangkok. After graduation, she joined an exchange student programme in U.S.A. for a year. She finds working with children fascinating because they always surprise you with their creativity and talent! Kru Tai likes to explore and learn new things and believes that to be a great teacher you have to be a lifelong learner. She likes books, music, travelling, adventure and fitness. After eight years in South Korea, Kru Ellisa is excited to begin teaching Year 4 (Y4) at Panyaden. She holds a Bachelor of Science, a Bachelor of Education, and a Master of Education in leadership and administration. 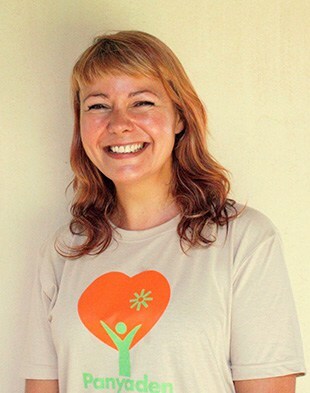 Originally from Canada, Kru Ellisa has been teaching abroad since 2006, and has experience working with students of all ages from early years to university. In her free time, Ellisa loves hiking, board games, and podcasts. 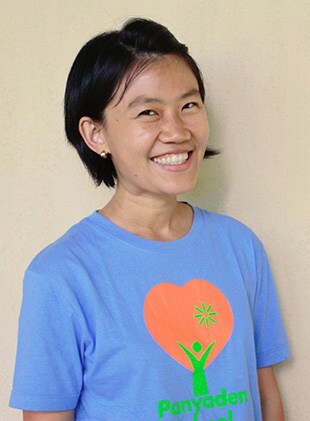 Kru Nan joined Panyaden because she shares the school’s educational philosophy. She believes that mindfulness, meditation and education strongly support each other. She is passionate about studying about the mind, how the brain works and how we learn. Kru Nan holds a Bachelor of Education in English from Burapha University. 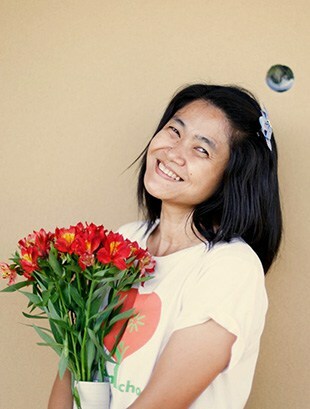 She taught English to children for more than 3 years and taught Thai to foreign adults for 2 years. She loves outdoor activities like caving, trekking and camping. She also enjoys spending time by herself reading, carving and drawing. Kru Dokmai has a Bachelor’s degree in Education (Early childhood Education with honours) and a Master’s degree in Education (Developmental Psychology), both from Chulalongkorn University. She was one of the founding teachers of Panyaden International School after 10 years of working as a primary level Thai teacher and coordinator at an international school in Bangkok. 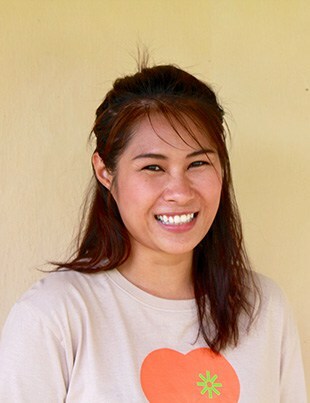 Kru Dokmai combines teaching Year 5 (Y5) with her role as Head Teacher for Thai teachers. Kru Dokmai loves to spend time with her family, gardening and taking care of the animals on her small farm. She also loves to cook and prepare meals for her family. 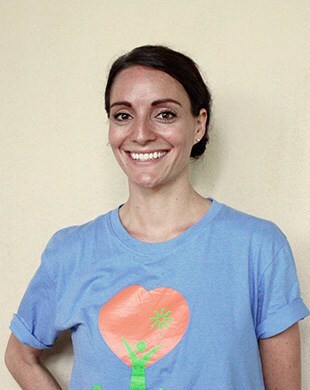 Kru Elizabeth is from Portland, Oregon in the U.S. She has been a teacher at Panyaden since October 2011, and has taught children and adults for a total of 19 years in Thailand, the US, Japan and Colombia. She has a Master’s in Education, a Bachelor of Fine Arts, as well as a certificate and a Master’s Endorsement in Teaching English as a Second Language. Kru Elizabeth is passionate about education and believes that each child can learn in an environment that is engaging and supportive. Her interests include travelling, reading, writing, yoga, hiking with her dog, gardening, cooking, ceramics, surfing, languages, and being a life-long learner. Kru Jan has a Bachelor’s degree in microbiology from Khon Kaen University, Thailand. After graduation, she worked in different roles but became inspired by teacher friends to become one herself. This led to a Bachelor of Education from the University of Winnipeg, Canada. In her free time, Kru Jan likes reading Thai and English books and watching interesting documentaries to gain more knowledge. She believes that self-development should never end, no matter how old you are! 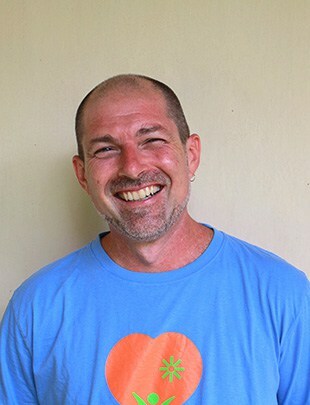 Timothy Mercer, nicknamed Timber, joined Panyaden after 7 years of teaching English and Drama in Chiang Mai. A graduate in education from Youngstown State University, Ohio, Kru Timber also spent 8 years teaching on a tiny island country in the Central Pacific called the Republic of Kiribati. A fan of cycling and running, he loves the family atmosphere and mix of cultures at Panyaden. 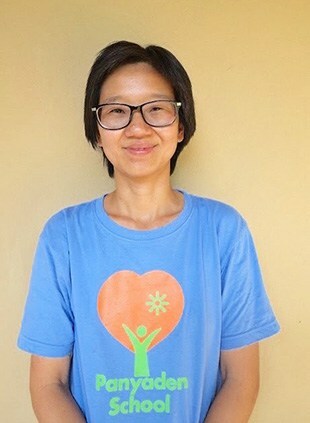 Kru Ying graduated with honours from Chiang Mai University and worked as a Thai language and culture teacher at an international school in Chiang Mai and an English teacher in her hometown, Kamphaeng Phet before joining Panyaden three years ago. She is passionate about working with children and believes that the focus of education should be to teach children a sense of responsibility towards themselves, their community and the environment. 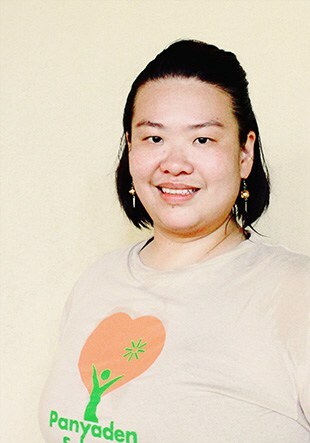 Kru Ying is a trained Zumba dance instructor – you might even catch her teaching at one of the fitness centres in town! Kru Denny joins us from his hometown of Sonoma, California, where he has taught 9th grade for the past 3 years. He received his bachelor’s degree in English Literature and teaching degree from Sonoma State University, where he focused on literacy for English Learners. 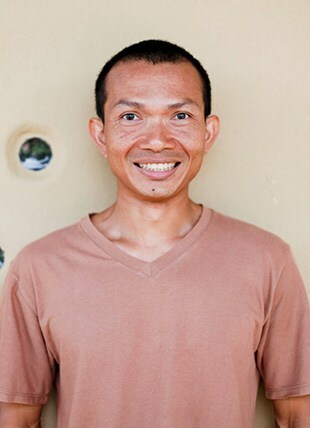 He enjoys reading, hiking, swimming, cycling, and playing games with friends and family, especially his daughter Maury, a Year 4 student here at Panyaden. 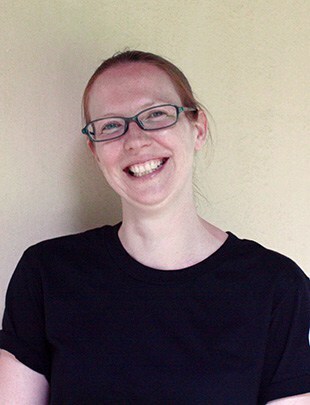 Kru Suzie comes from Manchester, in the north of England, and has worked in the field of education since graduating from university in Sheffield. She has been teaching English as a Foreign Language for over 10 years in a variety of places around the world including the U.K., Europe, S.E. Asia and South America, but it is Thailand where she has enjoyed living and teaching for many of those years as she loves the scenery, the culture and the people. She enjoys being outdoors and has a passion for music, cycling, camping and exploring new places. Kru Pat graduated from Chulalongkorn University with a Bachelor’s degree in Communication Arts (major in Speech Communication). She has worked at international schools supporting Preschool, Year 1 and Year 2 classes. In her free time, she likes cooking with her family and reading. Kru Pat believes a teacher’s role is to create an environment that makes children curious to learn. 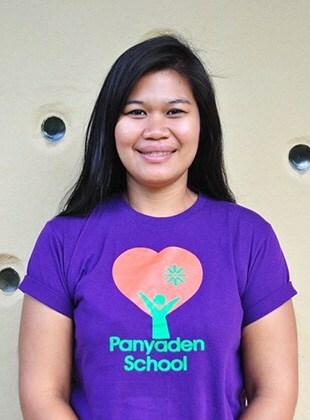 At Panyaden, she is looking forward to encouraging enthusiastic young learners who love to learn. Graduating with honours in Fine Arts from Chiang Mai University, Kru Or is studying for a graduate teaching diploma at Far Eastern University. Panyaden’s Art teacher for 6 years, she is lively and funny and every day you will see groups of children enjoying art with laughter. With experience as a primary school art teacher, and having run many art workshops for children during the weekends, she is clearly a passionate artist in every facet of her life. Kru Tee graduated with a Political Science degree from Ramkhamhaeng University. Because of his passion for music and children, he changed direction to become a music teacher and now has more than 10 years’ experience in teaching music. Kru Tee is living his life according to the Buddha’s teaching and aims to teach children to understand and lead the Buddhist way of life. Kru Georgie gained her Degree in Professional Dance and Musical Theatre from The Urdang Academy in London. She is trained in singing, acting, ballet, tap, contemporary and street dance and performed and taught in England for 6 years, including teaching dance and PE in a primary school for 2 years, appearing in a number of television shows, commercials and even at the London 2012 Olympics! Kru Georgie is also trained to teach English as a Second Language and taught English to Thai students in Bangkok before joining Panyaden. 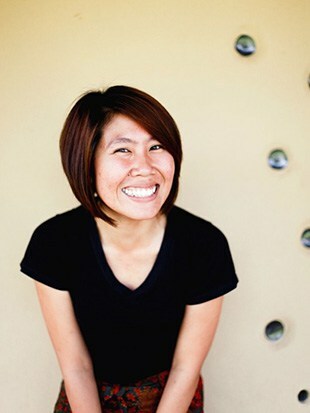 Although she enjoys performing and choreographing, Kru Georgie’s main passion is teaching and nurturing creativity. She believes that through acting, dancing and singing students will gain many important life skills such as perseverance, creative communication, problem solving and collaboration. Kru Noy is head of PE and Life Skills. He joined us from an international school in Bangkok where he worked for 10 years as a primary level PE teacher. He has both Bachelor’s and Master’s degrees in Physical Education. He is very active and in his free time he enjoys gardening, photography and cycling. Kru Ocean has a lifelong love of reading and writing who discovered the joys of sharing books while volunteering at a local library. 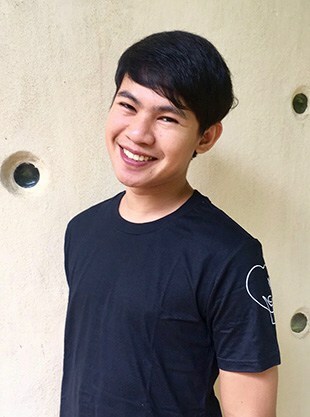 Graduating from Chiang Mai University with a Bachelor’s degree in Mass Communications, Kru Ocean has worked at a Child and Youth Development Camp and has almost 10 years’ experience as a writer, columnist and blogger. His goal is promote literacy and a love of reading in young people.